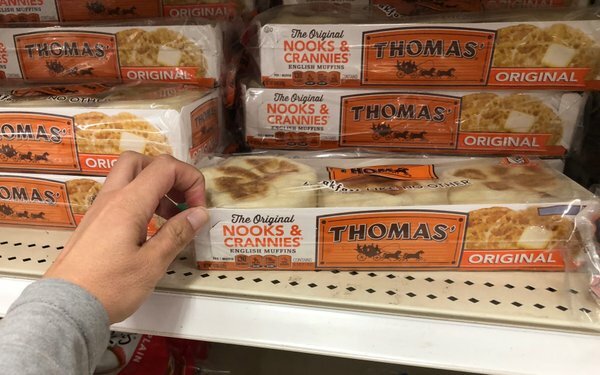 English Muffin maker Thomas’ has selected Mono as its new creative AOR following a formal review. The incumbent was TPN. The remit includes Thomas’ English Muffins, Bagels and Swirl breads with the aim of engaging core customers of the 138-year-old brand while driving awareness among new purchasers with different food values and needs. The first creative under this partnership will launch early next year, with a likely focus on social and digital, including online video and possibly OOH and TV as well. Parent company Bimbo Bakeries has spent $11.15 million on advertising during the first six months of 2018, which includes $10.65 million for its core English muffin brand, according to Kantar Media. Last year, the company spent nearly the same amount over the full 12 months ($11.06 million) which included $7.71 million for English muffins: $32,000 for Swirl and $3.32 million for bagels/breads, per Kantar.